SISGrass patented fibre injection technology produces one of the most technologically advanced sports surface in the world. This innovative hybrid technology has been uniquely developed for use in golf and cricket surfaces and is already installed at a number of prestigious golf clubs including; The St Andrews, The Grove, Wentworth and The Vale, as well as cricket grounds, Lord’s, The Oval and ECB National Cricket Performance Centre. SISGrass Universal machines are 100% electric which makes them versatile and able to negotiate around any golf course or confined area. The machines offer bespoke installation, at different depths and spacings to create the best quality hybrid cricket and golf surfaces in the industry. 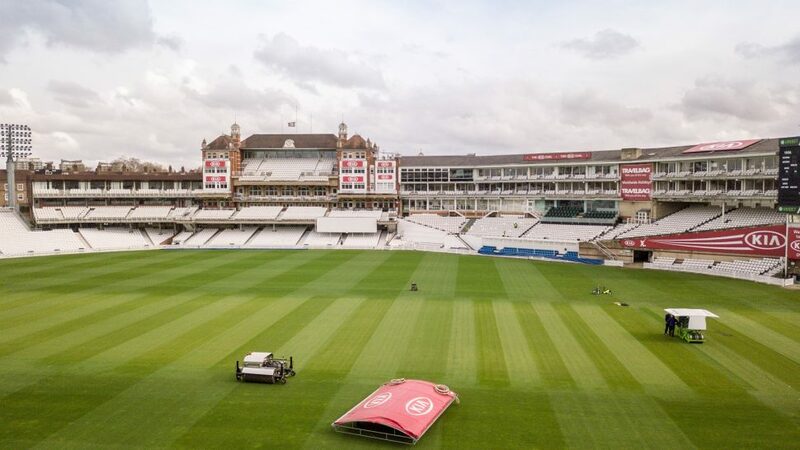 SISGrass is the most advanced turf reinforcement system on the market, increasing surface stability, allowing more playing hours in comparison to 100% natural grass, increased facility usage and faster surface recovery in high wear areas such as golf tees, cricket wickets and linesman’s runs. Developed only three years ago by SIS Pitches, SISGrass has been installed in over 80 surfaces worldwide, including 6 out of 12 pitches used at the 2018 World Cup in Russia, a pitch in Japan for the 2019 Rugby World Cup, and at Lambeau Field USA for the Green Bay Packers who play in the NFL. This year was the first time in World Cup history that a combination of hybrid technology and aeration systems were used, with the venue for the final, Luzhniki stadium, receiving over 84 hours of use over just 35 days. The stadium hosted a total of 16 hours of games, 8 hours of training sessions, 31 hours of rehearsals and ceremonies and 29 hours of VAR and GLT tests. Despite the intensive use of the pitch, it still looked and performed exceptionally well for the final, which was a credit to the latest SISGrass pitch technologies and maintenance schedule. SISGrass Universal machines can install both SISGrass and SISGrass Lite with both products providing a high-performing hybrid playing surface depending on the requirements and budget of the project. SISGrass has fibres stitched at a depth of 18cm, with 2cm of fibre above the surface; whereas SISGrass Lite has been designed to be installed into shallower, only partly constructed sports surface profiles with fibres stitched at a depth of 9cm, with 1cm of fibre above the surface.